The Family and Medical Leave Act (FMLA), was instituted in August 1993 and amended in 2008 and 2009 to include additional provisions for military families. FMLA is a federal law that outlines the amount of leave time allowed for qualified employees each year while protecting the employee’s job. The Indiana Department of Labor has set forth FMLA laws that follow federal guidelines outlined by the U.S. Department of Labor. FMLA is applicable for employees who work for an employer with 50 or more employees. Employees are required to have worked for the employer for a minimum of 12 months, although the months do not need to be consecutive. Eligible employees must have worked for a minimum of 1,250 hours during the 12-month employment period. FMLA provides eligible employees with as many as 12 weeks of unpaid leave during a 12-month period of time. FMLA laws mandate that employers must continue the employee’s health benefits during the leave and guarantees that the employee will be able to return to work in the same position (or an equivalent position) with equal benefits, pay and employment terms after the leave is over. The FMLA act grants employees taking an FMLA leave the right to use accrued paid time off for all or part of the 12-week leave provided the employee follows the employer’s policies and procedures for requesting a leave. Employers covered under the FMLA laws must approve a leave of up to 12 weeks for qualifying employees for specific circumstances such as childbirth and the subsequent care of the newborn baby of the employee. According to the American Federation of State, County and Municipal Employees, placement of a child with the employee for foster care or adoption also qualifies employees for FMLA. Additional circumstances include the employee caring for a spouse, parent or child with a serious medical condition. If the employee is not able to work due to a medical condition, he will be approved for medical leave. The law defines serious medical conditions as involving inpatient care, chronic medical conditions that require treatment, pregnancy, multiple treatments for a condition that is not chronic or the treatment for a permanent long-term medical condition. 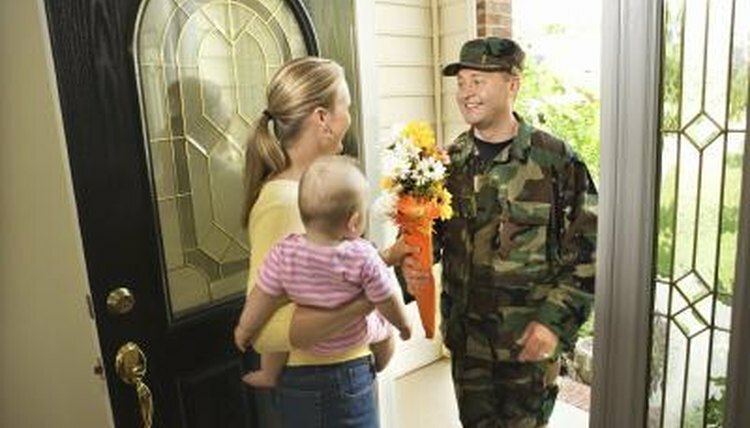 There are additional provisions for military families. The Military Caregiver Leave covers qualifying employees who are family members of military personnel for as many as 26 weeks of leave in a 12-month period to care for an ill or injured member of the services. The Qualifying Exigency Leave offers the 12-week leave to employees who have family members in the Army Reserves or National Guard, if that family member is on active duty or called for active duty. Anderson, Caryn. "FMLA Laws in Indiana." , https://legalbeagle.com/6395086-fmla-laws-indiana.html. Accessed 20 April 2019.